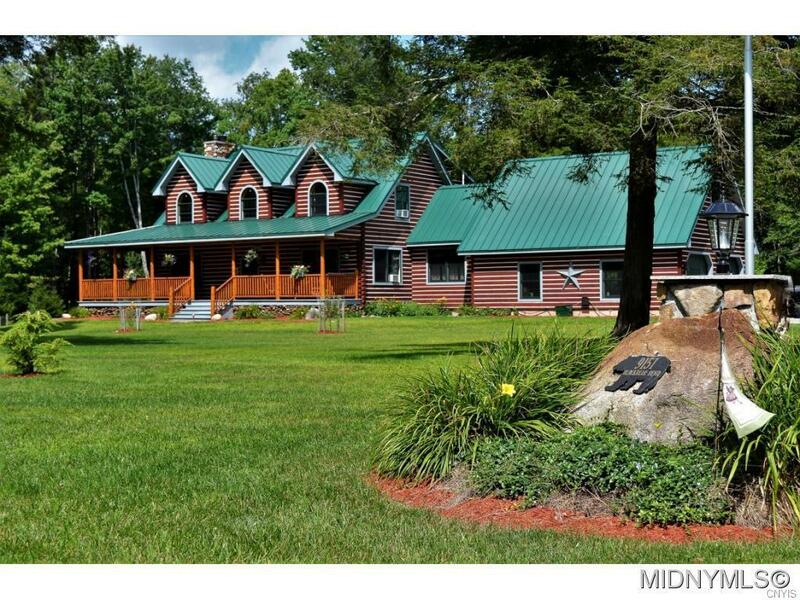 This stunning 11 year young cedar log home sits on a five acre parcel with small stream running through, trails throughout, and deeded rights to a dock on Kayuta Lake. The open floor plan with tall vaulted ceilings and a custom stone/brick blended fireplace, so much attention to detail throughout. Country-style wrap-around porch is a great entertainment space with a relaxed feel. Outbuildings are perfect for a variety of storage. This property offers Adirondack living at its best, make it yours!